Dr. Andrzej Mazur is affiliated to Department of Forest Entomology, Poznan Life Sciences University, where Dr. Andrzej Mazur is currently working as Associate Professor. Dr. Andrzej Mazur has authored and co-authored several national and international publications and also working as a reviewer for reputed professional journals. Dr. Andrzej Mazur is having an active association with different societies and academies around the world. Dr. Andrzej Mazur made his mark in the scientific community with the contributions and widely recognition from honourable subject experts around the world. Dr. Andrzej Mazur has received several awards for the contributions to the scientific community. 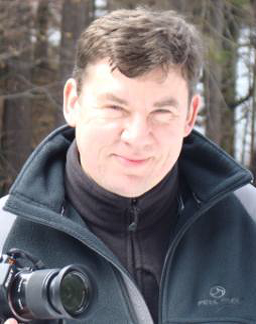 Dr. Andrzej Mazur major research interest involves forest entomology, coleopterology. Dr. Andrzej Mazur’s main research interest includes: forest entomology, coleopterology, systematics and ecology of Staphylinidae, Scolytinae an saproxilic beetles.